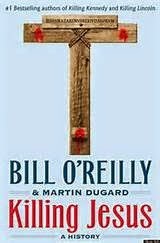 The book "Killing Jesus" by Bill O'Reilly and Martin Dugard came into my hands at just the right time, allowing me to read it during Lent and complete it on Easter Sunday. "Killing Jesus" is a historical account of the events leading up to the crucifixion of Jesus. While it's not a Christian book per se, the Gospels of Matthew, Mark, Luke and John are referenced as frequently as one would hope they would be for a book written about the death of Jesus. I found the book to be true to the Gospel and very helpful in sorting out who is who among the Romans. Early in the book there is a description of the events that take place on the Ides of March, 44 B.C. and lead to the death of Julius Caesar. One fact about him grabbed my attention primarily because it could have been used in reference to our culture today: "Julius Caesar has long been devoted to keeping the masses happy. One way to do this is by ensuring that popular entertainment is available to one and all, distracting them from any issues they may have about their government." Sound familiar? And how did that end up working for the Romans? But I digress. Julius Caesar is mentioned because it was he who chose his nephew Gaius Julius Caesar Octavainus (aka Octavian) as heir, although it would be 13 years (31 B.C.) before he would win the battle with Marc Antony for the throne. Octavian then began going by the name Caesar Augustus, and it was he who "issued a decree that a census should be taken of the entire Roman world." ~ Luke 2:1 So Caesar Augustus (aka Octavian) was successor to Julius Caesar. Jesus, then, came into the world not long after Julius Caesar left it. Herod the Great is portrayed as "a puppet who owes his kingdom completely to the brutal and all-powerful republic" of Rome and is subject to Caesar Augustus. He suffered from many ailments and died shortly after giving "orders to kill all the boys in Bethlehem and in its vicinity who were two years old and younger." ~ Matthew 2:16 His kingdom was then divided into four unequal parts and ruled by those sons that he didn't murder: Philip, Herod Antipas and Archelaus. "They are nothing more than figureheads and carry the title of tetrarch instead of king." Caesar Augustus declared Archelaus unfit to rule and over the next twenty years, "four other Roman governors have been in charge of Judea. The fifth had just arrived. His name is Pontius Pilate." So at the time of Jesus' crucifixion Herod Antipas was tetrarch of Galilee and Pontius Pilate was governor over Judea, but both held the same position and both were subject to Rome and its ruler Tiberius Caesar (successor to Caesar Augustus). The book was heavily researched, as noted in the sources section after the conclusion of the book, and it shows. In addition to sorting out who's who in the Roman hierarchy and giving a Biblical account of the crucifixion, the book also gives interesting cultural explanations for things such as why we celebrate Christ's birth in December when he was actually born in the spring. All in all, I was very pleased with the book. The only fault I found with it was that while the depravity of the Roman rulers was not given in intricate detail, it was still more graphic than I would have liked. Thankfully, though, these descriptions were only a few pages long. Christian or not, I think anyone who likes history would enjoy reading this book, and because it is so true to Scripture I believe it could be very effective in introducing readers to the person of Jesus Himself. That looks like a good book. Thank you for stopping by and your kind comments! I needed a Christian perspective on this book! Thanks for sharing with the Thursday Blog Hop! Thanks for sharing this post and your thoughts. I think this book might be added to my reading list soon. I saw the book but I didn't order because I wasn't sure about it. Thanks for the review. It sounds great.